Since 2007, Apple has been the industry leader in the smartphone genre of communication device; however, in recent years, they have seen there once monopolized market share being eaten away by Android powered devices, Samsung most notably. In response to such concerns, some critics and Apple insiders have been rumoring that Apple may approach its global competitors by creating a cheaper version of the iPhone for those customers with smaller budgets. The following article will discuss this decision and the potential impact it may have on the prestigious following of Apple. Apple has long been known to be a technology giant that produces the highest quality products, without sacrificing quality for potential market share. From the iPhone to the iPad to the MacBook, users have never gone to Apple for the bargained price; Steve Jobs was famous for getting people to venture outside their budget for “the best” in the industry. With every product release, Apple followers and loyalists line up outside their retail outlets as if the next product will change their life; and in some cases it has. What exactly the new budget friendly device would contain is still yet to be known; however, it is clear that this move would demote the aura that surrounds Apple and lower them to the dog-eat-dog competition that has churned out some of the poorest made devices over the past decade. Apple already has a budget friendly way of promoting its devices by allowing customers to purchase the previous generations for fractions of the newest products sales price. While proponents argue that the out of contract price of these devices is still far beyond what consumers can pay in international markets compared to competitors, opponents argue that the Apple mantra would be jeopardized by such a move. The verdict is still undecided and the product has yet to be described. The ultimate result of such a maneuver with devices 2 generations old being essentially free is still quite controversial and may indeed change the tide of Apple and the iPhone’s perception nationwide. The it factor that the iPhone delivers is partially driven by its exclusivity and high-class symbolism. These factors would likely be eroded, making the already household name become tarnished by cutting quality and “it” factor. 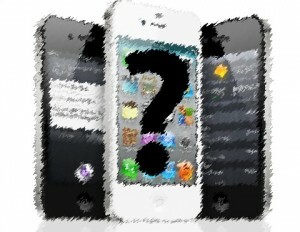 For more questions regarding this article or about iPhone Screen Repair or iPhone 4S Screen Repair visit our website. I have been reviewing and blogging about Apple innovations since the release of the iPhone in 2007. Since that time, I have responded to demand for a quality iPhone, iPod and iPad Repair service by creating budget friendly repair site that addresses the needs that Apple has forgone. Since that time I have continued to be an avid Apple follower with my primary focus being on the iPhone and its subsequent generations. This entry was posted in Articles, iPhone and tagged cheap iPhone. Bookmark the permalink.